We can almost hear Julie Andrews skipping to the Barton Orchards in Poughquag on June 30, belting out the final line, "These are a few of my favorite things," before gobbling strips of bacon between sips of craft beer and artisanal bourbon. Beer, Bourbon, and Bacon offers samples of the finest brews and whiskeys, complementary tasting glass, and all-day live music and entertainment from 2 to 6pm. Called everything from Blues and Swamp Rock to Americana, the Way Down Wailers will headline this year's indulgent festival. Walden catering company Handsome Devil will host a pig roast. 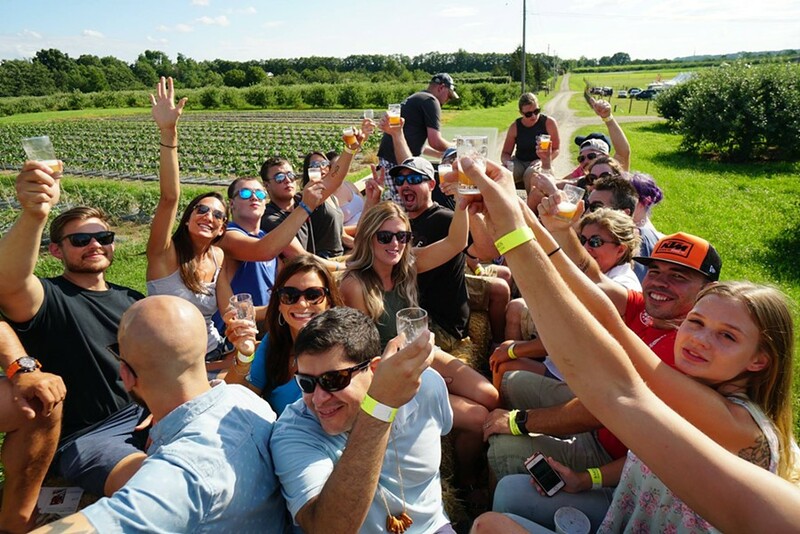 Harness your inner child on the craft beer hayride. Toss some corn hole or head down the mega big kid slip-and-slide. Or test your strength in the uber-manly keg tossing competition. Early bird general admission tickets start at $35. VIP tickets ($100) include all of the above, plus one-hour early admission, access to the VIP section, a "bacon passport," which earns you 10 samples from select vendors, a swag bag, finger food and exclusive beer selections. Heavily discounted designated-driver tickets are available online. Beer and bourbon samples will be available from over 50 breweries, some as local as Poughkeepsie, others as far away as California. Additionally there will be local vendors selling an assortment of bacon products, including bacon tacos, tamales, cupcakes, drinks, desserts, and of course, bacon-infused beer. Chances are, if it's edible, it'll be available wrapped in bacon. Gout never tasted so good. There will also be a gluten-free beer selection available for sampling and a home brew competition. There will be live music throughout the festival. Tickets are available online and are currently on sale for a limited time. The advanced discount tickets will offer you a discount prior to paying at the gate. Special discount designated driver tickets are also available. Gates open at 2pm and the event concludes at 6, no one under 21 will be admitted.